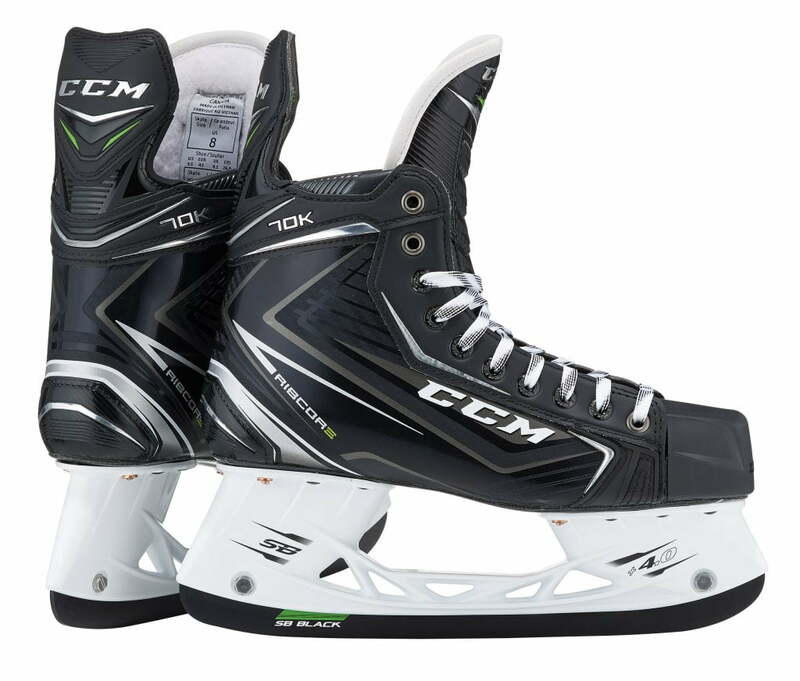 CCM Ribcor 70K Senior Hockey Skate | Sports Etc. TONGUE The TriGuard tongue is lightweight with enhanced lace bite protection for maximum fit and comfort. 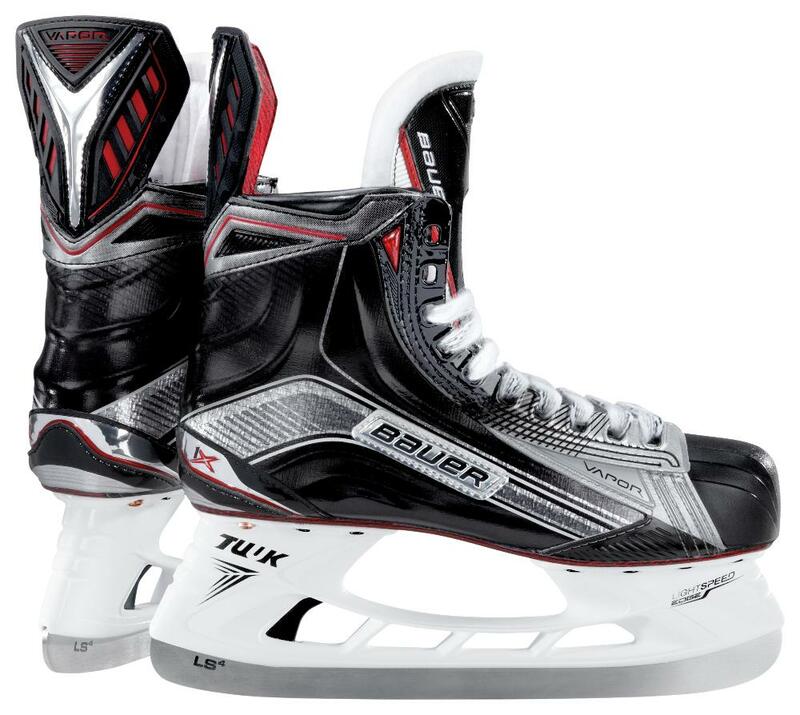 The CCM Ribcor 70K is designed with FlexFrame Technology, which has been designed with the help of top NHL pros, the innovative technology offers excellent forward flexion and the best lateral stability to provide players like Crosby, Duchene and Forsberg with the most optimized stride in hockey. The lightweight construction consists of premium composite materials to help reduce the skate by over 70 grams versus the previous generation. A new high definition heel and ankle lock boot shape replaces the need for the Pump, while still offering a flexible fit for all players. CCM Ribcor Fit– Cut narrower through the heel and forefoot than other Reebok/CCM skates, but still fuller than many other brands. Tapered ankle for a snug and secure fit. Recommended for regular feet. Currently one of the best and most comfortable fitting skates out of the box. Sports Etc Performance To Value Rating– 9 out of 10- For a pro-level skate, this might be one of the best values on the market today. Recommended for skaters at a higher level looking for a snug, locked in fit through the heel and ankle. One of the most popular boots in the NHL today.